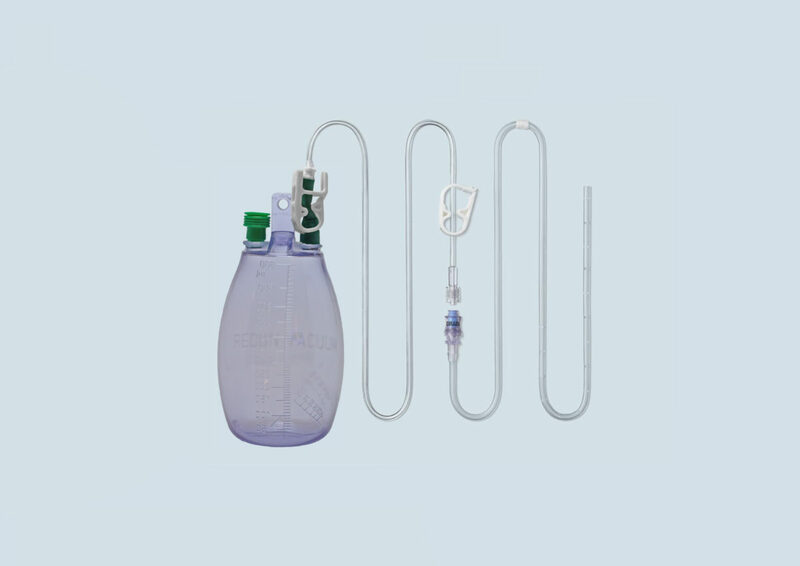 The ASEPT® Drainage System is intended for long term, intermittent drainage of pleural effusions and malignant ascites. This insertion kit comes with most items generally required for catheter implantation. The primary component of the ASEPT® Drainage System is the catheter, which has an aseptic, self-sealing valve attached that provides a secure connection. The valve can be connected to the ASEPT® Drainage Line attached to the ASEPT® Drainage Kit or Drainage Bag Kit or a stand-alone drainage line to connect to other fluid collection equipment. The product offering of the ASEPT® Drainage Kit configurations includes a 600mL or 1,000mL vacuum bottle set, a 2,000mL gravity drainage bag and the procedure pack with all the dressing change items. A stand alone drain line is available to connect to the ASEPT® Drainage Catheter for drainage with other collection equipment.